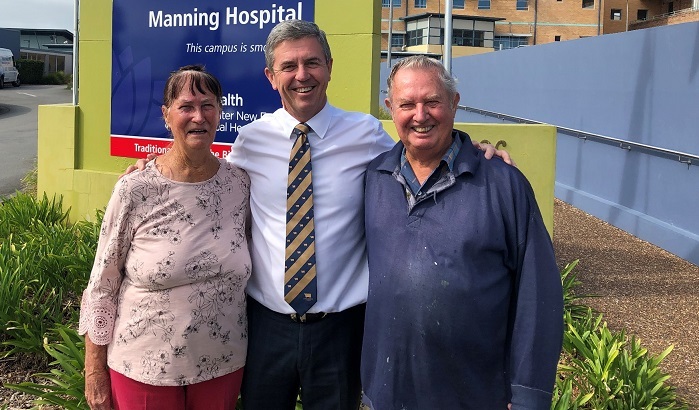 The Manning-Great Lakes region will have access to a new Cancer Unit thanks to the Nationals in Government, with new radiation therapy services in the regions. Announcing the inclusion of Taree in the package, Nationals Member for Lyne Dr David Gillespie said he had been in discussions with the Health Minister about expanding cancer services in the region. Dr Gillespie said the funding was in addition to the $6 billion a year the Federal Government provided for cancer treatments and services. Health Minister Greg Hunt said the Government was addressing the very real difficulty patients in regional and rural communities faced in accessing radiation therapy – therapy that could change their lives. The new centres will deliver high quality, comprehensive radiation oncology services in the Eurobodalla, Clarence Valley, Tweed, Kempsey, Taree, Armidale, and Griffith regions.